Gainn, Lakers, bashmilk and 1 other person like this. Lol, 1/10 stars for lack of effort... kinda like how Nike does the mid (ok... all) coloways, so it's fitting. With that being said... mids were the first Jordans I really collected. Alphas were my favorite. taz92 and jordanhead718212 like this. 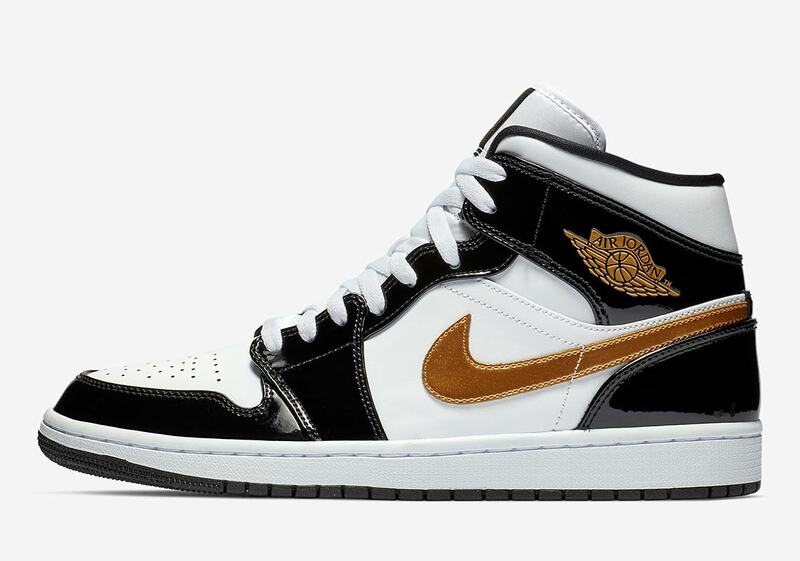 If anyone has any leads on those patent black/white/gold joints, let me know. I can't justify paying resell for some mids, but at Retail I'll jump. Size 8 btw. I know. RIP. Addisonz123 and d dot 23 like this. Older pic. Some custom obsidians I did a while back..
And while the general intent of this thread might not be exactly serious.. I'm rolling with it to see what happens..
ineedacape, MrFluGame, rashad8869 and 4 others like this. Below is a pic of all the AJ1 mids I've ever owned in my life, all together. compa sneakers, rashad8869, Gainn and 1 other person like this. Let's see if NT dudes will ever convert to them mids. 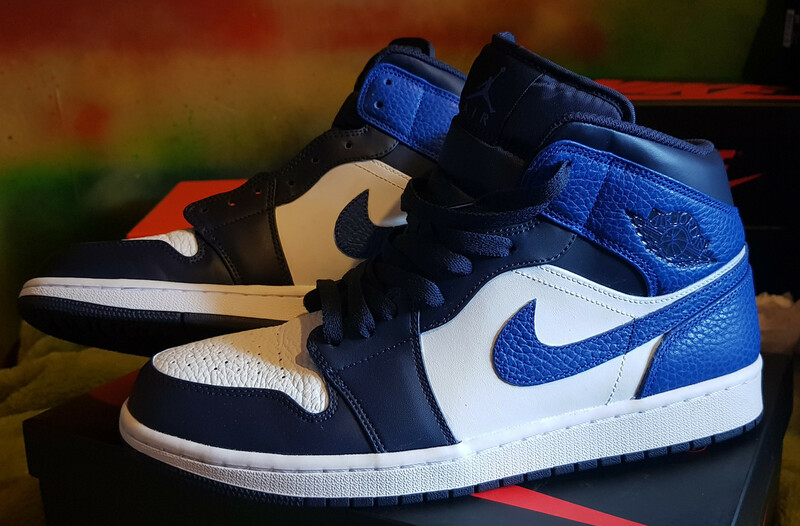 Posted in the AJ1 "high" thread. Now we have a mid thread, figured I would post them here. These came in this week. compa sneakers, Bert., TURBO UNO and 6 others like this. Offspring have stock of some of the recent ones..
Don't forget it's UK sizing tho. Welcome to the (slightly shorter) parallel universe..
compa sneakers, staffsgtdignam and Lakers like this. ineedacape, compa sneakers and rashad8869 like this. After watching some Youtube videos, I'm really interested in picking up a pair of the Pine Green mids, especially after hearing about the leather quality being on point. compa sneakers, d dot 23 and Gainn like this. I got a pair of those somewhere.. Came up really small around the midfoot area so barely wore them..